I hope the long-weekend was as you wanted it to be! Bob has two complete tour groups eager to go to Scotland in the middle of 2012, and he is looking for people to make up a third group for August. If you are a keen piper, or someone who thrives on Celtic culture - this is the tour for you. Only six spaces are open, so be in touch as soon as possible to secure your place. This is the final tour to be offered in 2012, and it will be jam-packed with festivals and sight-seeing. You can book your place on TradeMe or by phoning Bob on 0800 HAGGIS. Are you looking for a Celtic ring, perhaps a wedding ring? Bob has put our Peter Shakes range on special for one week only. See our website, and get hundreds of dollars off gold rings. Keep an eye on our website for items from our new supplier, Boru jewellery, Ireland. 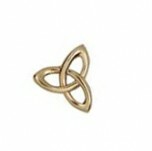 Boru specialise in Celtic designs, including: warrior, claddagh, trinity, ogham, birthstone, infinity, and other styles; available in gold, two-tone gold, and silver. We are taken with the beauty of Boru jewellery, and we look forward to working with them to bring you pieces that you will treasure.